Advanced Materials for Hydraulic Seals - System Seals Inc. In System Seals’ Research and Development facility, engineers create proprietary and custom blended materials that outperform most stock materials. These specialty compounds are designed to be substantially more compatible with certain fluids, pressures, temperatures and a host other operating conditions that are unique to your application. Once new materials are created, System Seals analyses them in its on-site testing facility by recreating the same operating parameters that the seals will undergo in the field. Through this process, System Seals has developed a number of breakthrough materials that have changed the standards for seal manufacturers in a variety of industries. Below is a list of some of System Seals’ core materials, many of which can be custom blended to better suite your particular application. The polyurethane polymer industry has enormous categories of products for a wide variety of applications. Polyurethane used in the seal industry is a thermoplastic elastomer (TPU). As the name suggests, it behaves like an elastomer but the chemistry is of a thermoplastic. The elasticity of a TPU is brought about through polymer morphology phase changes as in thermoplastics not through vulcanization as seen in other elastomers. Because of its thermoplastic nature, TPU has excellent tensile strength and abrasion resistance that other elastomers are unable to match. Meanwhile, TPUs also have good flexibility and shock absorbing performance. An additional advantage of TPUs is that they can be molded using conventional thermoplastic processes. Nitrile elastomer NBR is an amorphous random copolymer of butadiene and acrylonitrile. There are numerous NBR copolymers available globally. As a thermoset elastomer, an NBR compound consists of NBR copolymer, carbon black reinforcement fillers, curing agents, molding process aids and specialty additives. NBR articles are molded by injection, transfer, compression or extrusion processes. NBR lends itself to a virtually infinite number of compounded materials and versatile in applications. 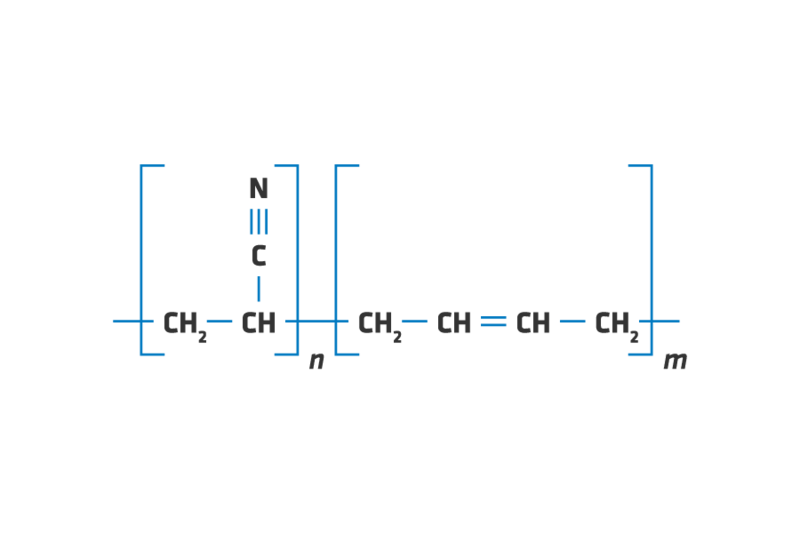 The essential feature of NBR elastomer is the presence of Nitrile, -C=N, functional group. This polar group is responsible for its significantly increased chemical resistance. The first commercialization of hydrogenated nitrile elastomer HNBR copolymer was in 1984, almost 50 years after the commercialization of NBR. To obtain HNBR, NBR is hydrogenated during the polymer synthesis process. Hydrogen is selectively added to the unsaturated carbon-carbon double bonds, -C=C-, of butadiene in the NBR polymer to form saturated carbon-carbon single bonds -C-C-. Thus HNBR emphasizes two essential features: nitrile, -C=N, functional groups as in NBR and a hydrogenated backbone. The nitrile polar group is responsible for HNBR's excellent oil and fuel resistance. The hydrogenated backbone is responsible for HNBR's significantly increased high-temperature properties compared to NBR. HNBR has very good ozone and weather resistance thanks to its saturated backbone. If any hydrogen atoms are replaced by fluorine atoms in an elastomer carbon backbone, this elastomer is typically referred to as a fluoroelastomer. A carbon-fluorine bond C-F is stronger than a carbon-hydrogen bond C-H. The result of replacing a hydrogen with a fluorine atom makes fluoroelastomers the best option for chemical resistance at high temperatures for a long usage life. The compression set resistance of fluoroelastomers is very high, which is valuable for sealing applications. Fluoroelastomers are a general category that includes polymers from various monomer combinations of two or more monomers. Post-curing is common for fluoroelastomers since this will maximize elastomer's tensile strength and compression set resistance. There are three subcategories of fluoroelastomers: FKM, FFKM and FEPM. 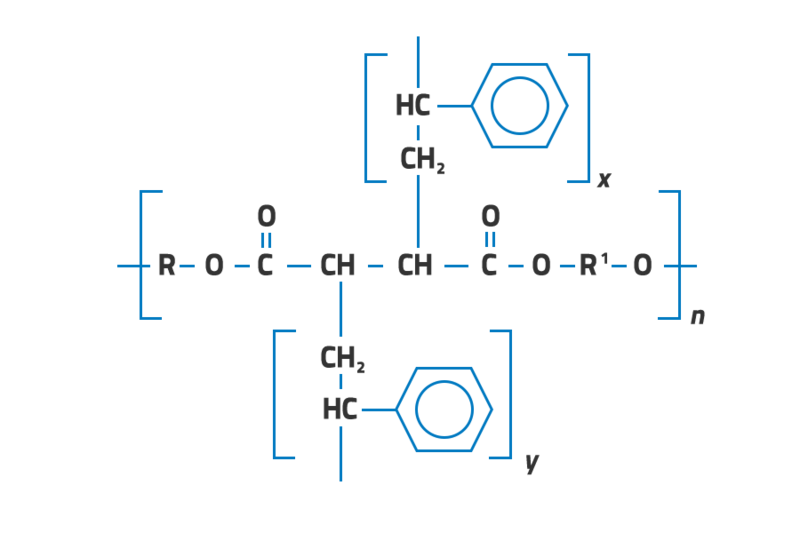 Polytetrafluoroethylene (PTFE) has exceedingly strong carbon-fluoride bonds (C-F). PTFE has a simple, linear, flexible and regular molecular structure, which makes it highly crystalline. Commercial PTFE is a high molecular weight polymer. Fluorine atoms form a tight sheath of protection providing PTFE with extreme molecular and physical properties. The sheath prevents PTFE from external influences upon the carbon-carbon backbone. It also results in weak interactions/bindings between polymer chains. These molecular structure properties make PTFE extremely resistant to chemicals or solvents even at very high temperatures and high pressures. PTFE also has very low friction and good anti-stick characteristics. PTFE is tough and flexible even at very low temperatures. However the same molecular structure properties result in mediocre mechanical properties with low stiffness and strength among thermoplastics. PTFE articles cannot be formed with conventional processes for thermoplastics because it does not flow above its crystalline melting point. Parts can be formed by a sintering process under high temperatures. Ultrahigh Molecular Weight Polyethylene (UHMWPE) has simple and linear carbon-carbon polymer backbone but with molecular weight reaching several millions. 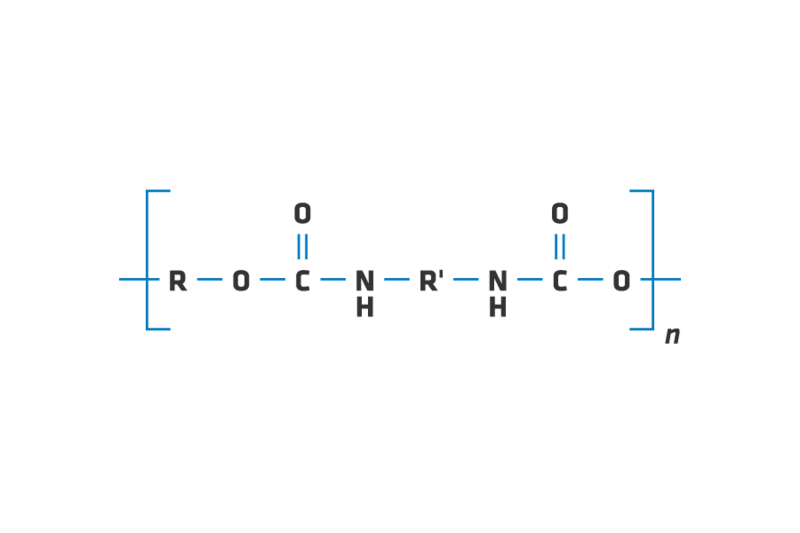 This chemical structure makes UHMWPE highly crystalline, thus it offers high tensile strength and dimensional stability even at high pressures. The most outstanding known properties of UHMWPE are wear/abrasion resistance along with chemical resistance to aqueous and hydrocarbon solvents. UHMWPE has a very low coefficient of friction (much lower than nylon and acetal), good toughness and fatigue resistance. Acetal or Polyoxymethylene (POM) belongs to the polyether family which contains carbon-oxygen-carbon (-C-O-C-) ether linkages in the polymer backbone. Acetal or POM refers to the polyether with only one carbon (methylene) in between ether linkages. To improve its low thermal stability for commercial use, POM has to be chemically modified by one of two means. The first is to modify the ends of polymer chains to yield the corresponding POM homopolymer (POM-H). Its major trade name is Delrin® from Du Pont. The second method is to add 1%-2% ethylene oxide to the polymer chain that results in POM copolymer (POM-C). POM possesses a simple regular backbone, thus it is a highly crystalline polymer. This chemical and morphological structure leads to high mechanical strength, low moisture absorption, high dimensional stability, and good chemical resistance. FFKM is referred to as perfluoroelastomers, in which ALL hydrogen atoms are replaced by fluorine atoms in the polymer. FFKM has better fluid resistance and base resistance at much higher temperatures than FKM. Raw materials for producing FFKM are very expensive. For this reason, FFKM is considered to be a high cost specialty elastomer. The major FFKM trade names are Kalrez and Technoflon. In order to take advantage of high temperature resistance from FFKM, all other ingredients, especially fillers and cure systems in the formulations have to withstand the temperature at least as much FFKM. The mechanical property loss and thermal expansion of FFKM needs to be carefully considered if seals are used over a wide temperature cycle. FFKM is usually used in stringent applications that other elastomers are unable to match. Typical application environments are hydrocarbon liquids and gases, water and steam, solvents, amines, brake fluids, many acids and alkalis, air or ozone. FFKM is not suited for molten and gaseous metals such as sodium or potassium, nor fluorinated solvents or refrigerants, nor chlorine compounds. FFKM is not suited for steam over 150ºC. The unique chemistry of silicone elastomer is the presence of the silicon-oxygen (Si-O) backbone instead of a carbon-carbon bond present in most polymers. The silicon-oxygen bond is flexible as well as stable over an extended range of temperatures. This same chemical structure has extraordinary resistance to oxidation degradation. Many different side groups can be attached to the Si-O backbone to modify the chemistry for particular applications. 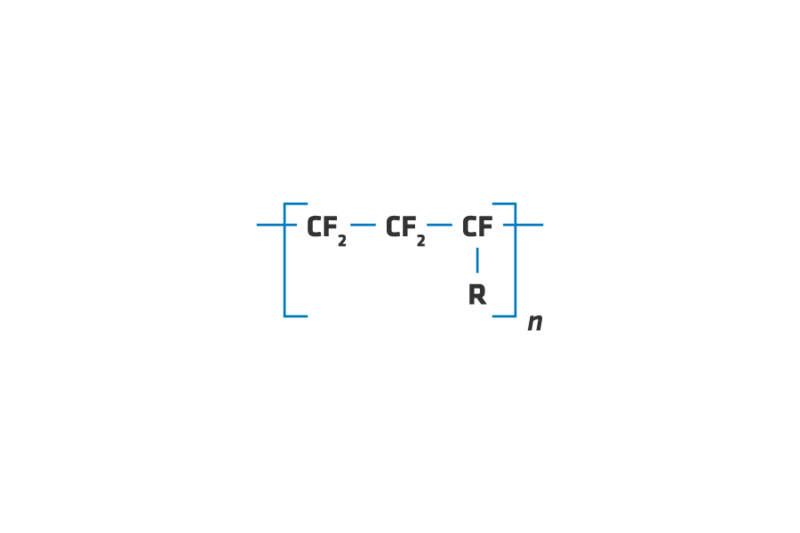 Carbon-carbon double bonds are attached as a side group for vulcanization to improve compression set and hot oil resistance. Compared with other elastomers, silicone has rather mediocre tensile, abrasion and tear strength due to the weak strength of Si-O bond. To achieve useful engineering performance, silicone elastomers are often reinforced with high surface area fillers. Silicone rubber articles are molded by compression, transfer, extrusion or injection processes. Ethylene-Propylene elastomer (EPM) is a copolymer and it provides a variety of elastomers as well as thermoplastic materials. 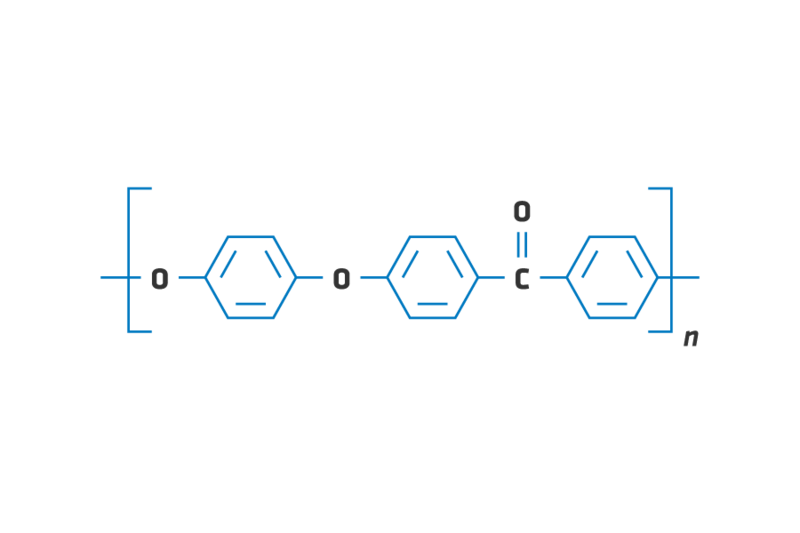 Usually a third monomer, a diene type, is added to EPM structure to generate a terpolymer (EPDM). 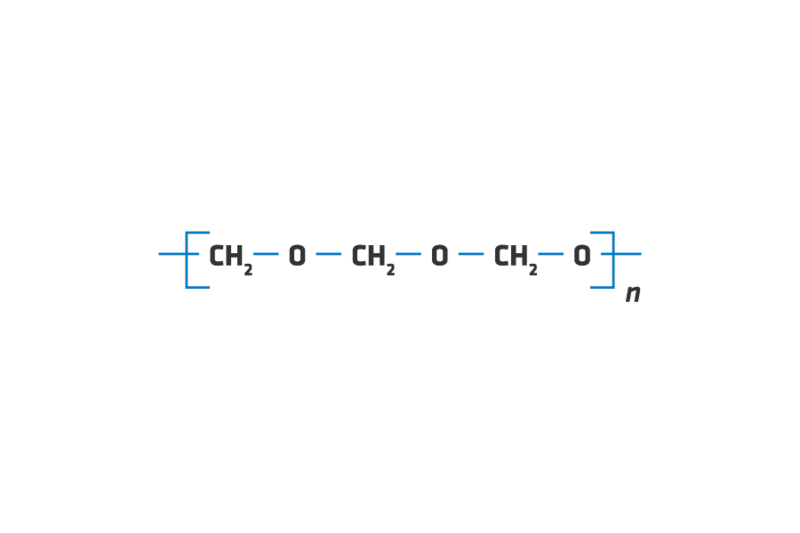 The incorporation of a small amount of diene monomer (2% to 12%) into the side chains of the polymer provides unsaturated bonds which allow vulcanization as is commonly used for elastomers. There are at least three common diene monomers used commercially. 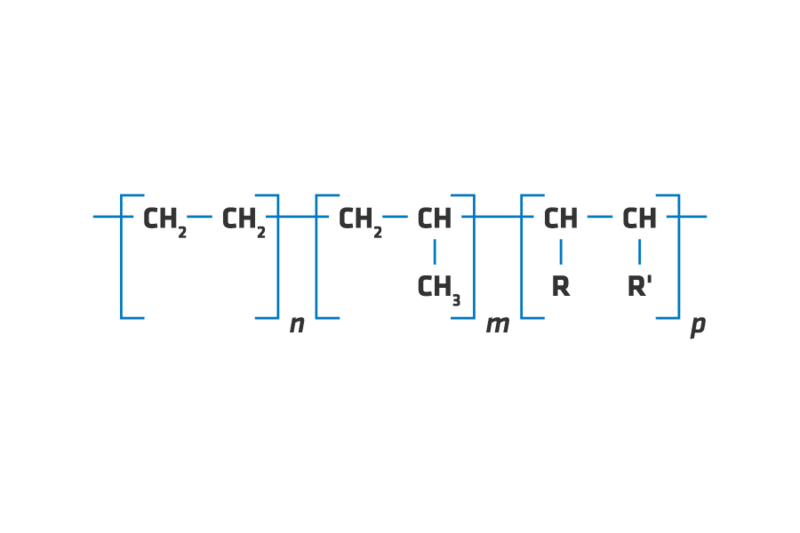 The major backbone of the structure of EPDM remains completely saturated from ethylene-propylene monomers. Therefore EPDM rubbers provide outstanding ozone, weathering resistance and good temperature resistance. Fabric reinforced composite materials are engineered from liquid thermosetting resins impregnated in fabric and subsequently cured to form solid shapes. Various thermosetting resins are available for use as bushings and bearings as unsaturated polyester. Within each category there are numerous resins to choose from. Prudent selection of a resin depends upon its viscosity, desired thermal, chemical or mechanical properties. Unsaturated polyester resin is most commonly used. Vinyl ester resin has higher mechanical properties and better chemical and temperature resistance than unsaturated polyester resin. Phenolic resins are cured very differently and are used for high temperature, high pressure and flame resistant applications. Thermoset composite materials have highly crosslinked molecular networks. As a result, they have much higher mechanical strength than thermoplastics. 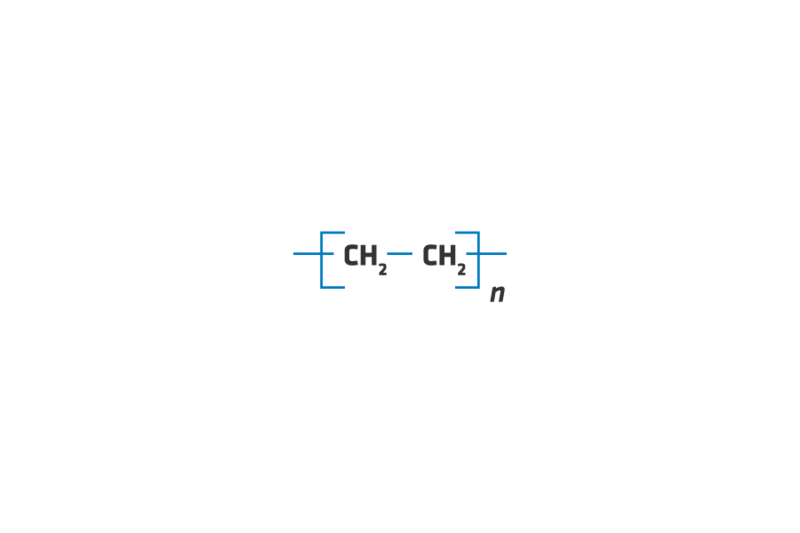 Polyetheretherketone (PEEK) belongs to ketone polymer family. It has a highly conjugated molecular structure with aromatic, ketone and ether linkages. 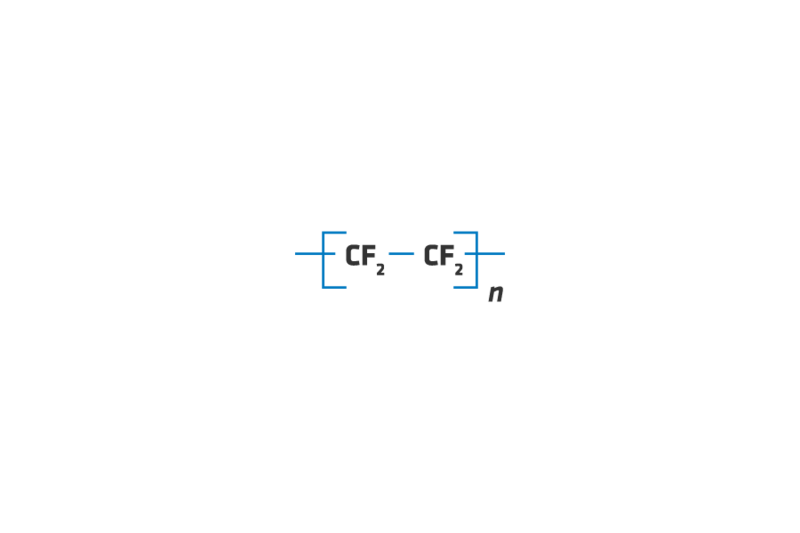 The double ether linkages in PEEK make it more flexible and capable of crystalizing than other members in the ketone polymer family. This chemical structure provides PEEK with exceptional physical and chemical stability at very high temperatures and in aggressive chemical environments. PEEK has much greater mechanical properties and dimensional integrity at high temperatures than other polymers thus it is regarded as the most advanced high performance polymer in demanding applications. Due to the nature of crystallinity of PEEK, its properties can be affected by process temperature controls. Fillers improve PEEK's performance. Glass or carbon fiber can increase the mechanical properties and dimensional stability of PEEK. PTFE, graphite or carbon powder can reduce friction or increase wear life. PEEK articles can be molded by injection or compression process. PEEK is relatively new and it was commercialized only in the late 1970s. Polyamides (PA) have amide functional group linkages –CO-NH-. The amide group has strong affinity for hydrogen bonding with other amide groups and with water from the external environment. The two major commercial materials used in seal industries are PA 6 and PA 6,6. They differ by whether one or two raw material components are used in producing polyamides. In many aspects, they are interchangeable in applications. Both polyamide thermoplastics are flexible and allowing for easy crystallization. This capability is even enhanced by the strong affinity for polar amide groups of adjacent chain sections. 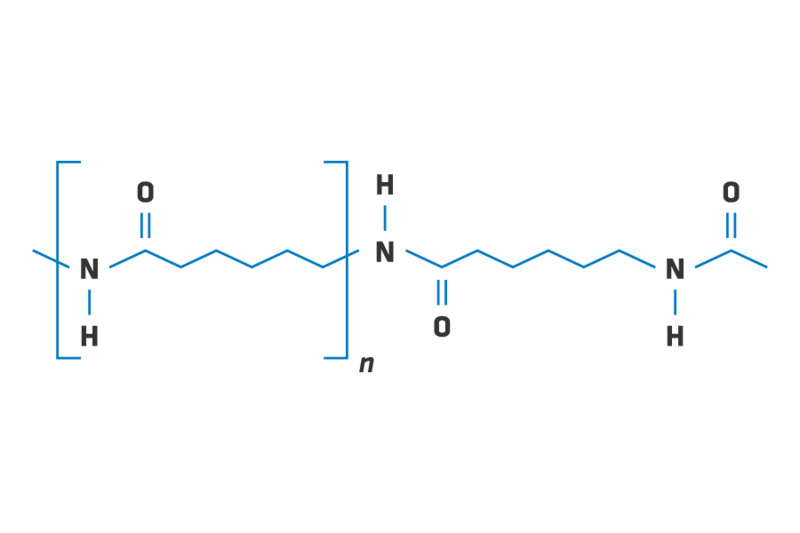 Less amide content in the polymer means less tendency for polyamides to bind water. Polyamides lubrication can be further improved by incorporating molybdenum disulfide (MoS2). The mechanical strength of PA can be increased by reinforcement with glass fiber. PA articles are normally molded by injection, extrusion or compression processes. This is a compiled list of FDA approved materials.